The Thracians were a warrior race who lived in the Balkan area of Europe from 700BC to 46AD. They fought as mercenaries for the Greeks and Macedonians throughout the Ancient period. 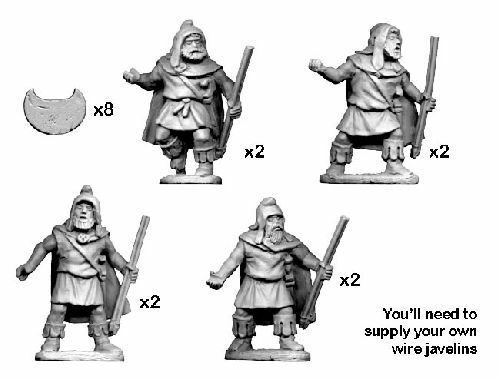 Contains 8 unpainted 28mm high figures. The shields need to be glued in place. The figures do not come with Javelins. We recommend spear pack NSS102 for these figures. Sculpted by Mark Sims and Martin Buck.